When you’re roaring down the road or racing around corners, you want to feel certain that the dangers of driving are kept at bay. The 2018 Jauguar XF safety features give you exactly that kind of certainty. This luxury sedan excels in terms of style, performance, and premium features, but it’s also enhanced with advanced technologies engineered to upgrade your protection and security. 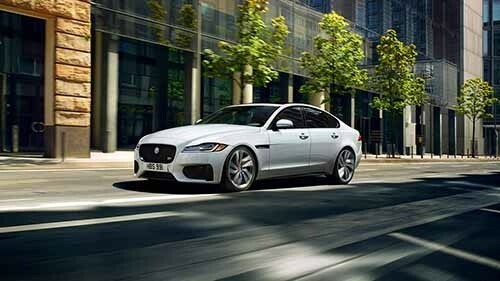 Check out the XF intventory at Jaguar Charleston, and contact an expert with any and all of your questions. This sophisticated suite of technologies works to enhance the traction and handling of the XF in all conditions. Whether you are driving on wet roads, icy surfaces, or loose terrain, you still have ample control. If the sensors inside the XF detect that a rear-end collision is imminent, this feature will automatically apply full braking pressure. Even if you do not react in time, you have the means to avoid or minimize the collision. When you are driving through Beckley and begin to drift into a different lane, this feature sounds a warning and then subtly steers the sedan back into the correct lane. This proves especially helpful on long drives. Jaguar has engineered an advanced form of power steering that analyzes the driver’s inputs and then digitally enhances them to offer superior levels of precision handling and exacting control. If and when it's necessary to drive defensively the person behind the wheel has every resource. The latest Jaguar XF is loaded with cutting-edge technologies, and many are designed to upgrade safety. For example, this sedan can actually read traffic signs as you pass them and then display the information on your dash so that you never miss important information. Autonomous driving features can park the XF for you no matter how tight the space is, and your blind spot is monitored at all times so that you never risk changing lanes and colliding with a car you can’t see. This sedan is ideal for cruising between your everyday Huntington commute or even navigating shopping destinations in Charleston. 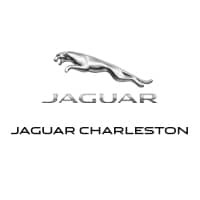 At Jaguar Charleston, we have everything you need to make buying, driving, and owning this model simple. Feel free to fill out our financing application at any time, and make plans to visit our convenient dealership soon for an in-depth tour and thrilling test drive.